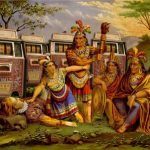 The first Indian – as in India – world-class integrated resort is set to open in 2014, a remarkable move in a country that officially doesn’t allow gambling by law in most of its states. The gambling project is going up just off the state of Goa, in Daman, which is close to Mumbai, which was formerly known as Bombay. 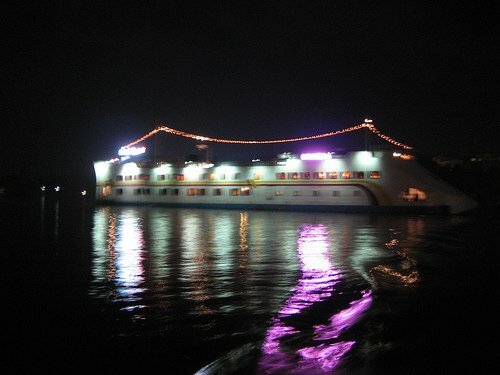 Goa and Sikkim are the only two states in India that legally allow casinos; currently there are 12 in Goa, five of which are floating casinos on the Mandovi River, with the other seven being land-based. Delta Corporation – already is business in the area with three offshore floating casinos in the same region – is behind the operation, which will encompass a relatively modest 60,000-square-foot casino and a 187-room hotel on just 10 acres of land. It’s thought that nearby city Gujarat will be a major source of business for the new property. Delta’s chairman, Jaydev Modi, explained to reporters that the marketing focus will also be towards nearby Sikkim, which has only one casino of its own, and neighboring countries Nepal and Sri Lanka – the latter a country which is itself in much debate over a new major casino project set to come in from Australian billionaire casino magnate James Packer. But watch out, Packer; Delta plans to give you some competition in the Sri Lanka casino market themselves. “We have already acquired property for the casino resort in Sri Lanka and the company is exploring the emerging Sri Lankan gaming market which is poised for rapid growth,” Modi said. The Delta chairman added that since Sri Lanka’s 25-year civil war finally saw resolution in 2009, the country has been undergoing massive growth in the past two years, particularly in the tourism sector. “Indian visitors make up the largest percentage of total visitors to Sri Lanka accounting for 28 percent of total Sri Lanka tourists,” said Modi. 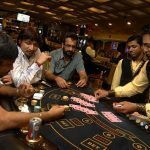 Despite the general illegalities of casino gambling in India, close to 40 percent of Indians who have been on the Internet at all say they have logged onto a gambling site, though few will admit to actually placing bets there. Gambling on lotteries, cricket and horse racing are particularly popular in the once-British-run country, but the antiquated Public Gambling Act of 1867 prohibits running or being in charge of a public gaming house in most of India. The more recently legislated Information Technology Act 2000 regulates cyber activities in India, prohibiting the publication or transmission of information that can “corrupt people”. Included under that sweeping moral umbrella are things like online gambling,which carries strict punishment for operators found within India’s borders. Despite these laws, gambling is hugely popular in India, with an estimated $60 billion a year market, with more than half of that coming from illegal gambling activities. As in the U.S. and other countries that have struggled with legalizing online gaming in particular, many in India – including the International Cricket Council’s own CEO Dave Richardson – are proponents of legalizing betting, claiming that illegal activities simply fund terrorists and drug kingpins. 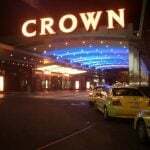 Sikkim tried to offer three online casino licenses back in 2010, but this never came to fruition. The country does have an online lottery that is run by Playwin, and it’s expected that other Indian states will follow suit in the near future.